Retrograde planets have a very high influence on our Soul, our Psyche and the Situations and Events we face in our life. Your life revolves around and is affected by a retrograde planet a LOT MORE then all other planets in your Natal chart. You are Always feeling the effect of the Retrograde Planet in your life every day and in every dasha. Sometimes mild , sometimes Predominant, irrespective of the dasha you are going through. 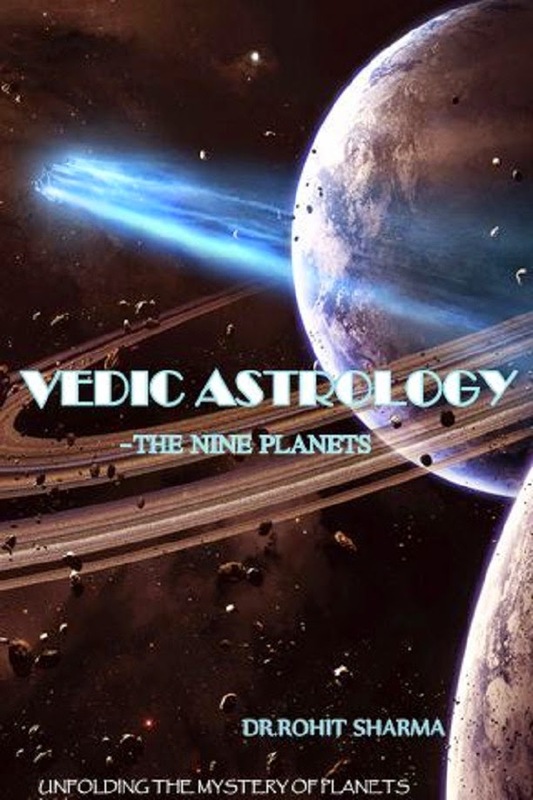 Some call it just an Optical Phenomena or illusion but whole Astrology is basically based on Optical Observations and Phenomena as seen from earth. So it has a Higher influence on us because Optically as seen from earth a planet is Nearest to Earth when it is under retrogradation period and hence Comparatively Very influential and Closer to our Psyche and has higher control on the Situations we will face and how we will respond to them. A planet appears retrograde because as seen from earth it appears to move in an opposite Direction in the elliptic belt then normal. It can be due to difference in the relative speeds of earth and the planet in their respective orbits as seen from earth. Retrograde phenomena is only observed from a Geocentric view of the Solar System and the Zodiacs and not possible from a Heliocentric View where we observe everything considering Sun as the center and point of observation. If earth is the point of Observation then Retrogradation occurs. A retrograde planet is also usually closer to earth during its retrogradation period then normal. So it has a Higher influence on our Soul and Psyche just like the Sun and the Moon and Causes more introspection and Influence on us. Retrograde Planets makes us Re-consider, Re-analyse, Pay more attention, Come-back & Redo, 'Repair', Re-peat, Repeated attempts to exercise the planets attributes and Qualities & Transform and Ascend with a new mature and Evolved Beginning, opposite of traditional/conventional direction of the planets' attributes. IT Could also mean the planet is having the same characteristics or qualities inside but external manifestations are demonic or going in opposite direction, going back with regard to the attributes of the planet or giving effects opposite of what ought to be given by it. It basically means repeated attempts, Redoing from the beginning, Going back and Starting over again from Point/level Zero, Reconsidering and reanalyzing things, Introspection, and A New & Better Beginning after all this. Retro Planet has a Greater and Deeper influence on us then the Normal Pro-grade Scenario of the Same planet at the same Place in a Chart. everything ,, Rising or Moving ahead 5 steps and then Falling back to the Ground to start over again. It is Sort of a Demonic Quality , not a benefic but a malefic characteristic but the Planet involved in itself may be benefic or malefic. Also a Retrograde Planet always has a Higher influence on our lives Compared to all other planets because a) it is closer to earth Astronomically. "All Planets represent and are the different elements of our consciousness." Now lets Do all planets one by one. Whenever A PLANET IS RETROGRADE, The Internal Qualities, Characteristics and Nature and Tenets of that Planet Remain unchanged. It is still the same planet/'deva'/set of Qualities. It will still affect the same areas of your life or the same 'elements of your consciousness'. It will internally always want to give you the same things it is Represented by in Astrology. It will represent the same thing or be the 'Karaka' of the same Things. eg. Jupiter Antegrade or Retrograde always represents Children, Happiness, New Creations, Knowledge, Teachers, Wisdom and Religion likewise Venus (A) or (R) will always decide about our Relationships, Pleasures of the 5 senses and Sense or Perception of Beauty BUT what Differs is the Planets Approach to get it or it's Methods to Manifest it, the methods it follows, the ways it follows , the Pathway one goes through or uses and It's Method or Approach to feel/Perceive those elements of our consciousness and Approach to get what that Planet makes us Want. How it behaves and Acts Externally is Different from how it should Behave and Act Externally. The internal Qualities and The Gifts it wants to give you are the SAME but the EXTERNAL MANIFESTATION and Appearance for the world and yourself too is Opposite of what should be the case. And the Methods it will take to Give it's attributes to you will be Different from normal. according to that planet e.g if saturn wants to act slow and Steady , (R) effect will cause it to wrongly act Quick and Give everything QUICKly). Direction as per it's sign and House BUT externally Or on a Practical plane you Go in the Opposite direction and Get opposite of what you want. internally DRIVE you , make you desire a Love filled, Romantic, Passionate , COMMITTED RELATIONSHIP full off Love and Passion and Bonding but externally it gives you Repeated Breakups, Multiple relationships, lack of commitment, Lack of Real Passionate Relationships sometimes No Relationships for a long time even after having a Huge desire Inside or multiple tries and attempts before you finally get one. Basically Internal Desires, Directions and Accomplishments are opposite from External Appearances, Desires, Directions and Accomplishments. A) It's Behavior , characteristics it imparts to us, the sphere/areas of our life it affects and it's Basic internal Nature ( or i can say our basic internal nature) will be as per the above 5 points. I mean Internally or on an Abstract plane or Psychological plane or in regards to our approach to things or our desires and our Internal Drive and Direction will depend upon the above 5 points. As the above 5 points do not account of the Direction of motion of the planet in the orbit as seen from earth so it will be the Same Result as in a Pro-grade moving Planet. have a Drive to create Romantic and Love based harmonious as well as Committed relationships. Obviously this is what Venus in Libra in 5th house will do aspecting the Ascendant too. On the Inside or on an an Abstract plane this is what Manifests. But Externally he/she will experience break ups, Repeated Committed Relationships, Once Serious Relation, followed by moving back and Break up and then a New one. There can also be a Come back of a Previous Lover into your life. So You see internal Drive and Internal Manifestations are the Same as the Pro-grade Scenario. Results are the Same Internally or on an Abstract plane or in the inner soul but on a Practical Plane things are Moving in an opposite direction and Causing Backing out, Backward motion and Redoing of Inner Qualities & things related to that planet and it's location in the natal chart. In-short the Internal Nature & Behavior Will be Repeated again and Again. from Normal Pro-grade Scenario. :) You will try to do the same things , behave the same way , but go in an opposite direction. Go back, Start over again and Redo the things. This all is very basic. I will explain with examples and on a Practical plane in Paragraphs that follow. new one. Recent Mars retrogradation in Virgo witnessed not only Large scale Mechanical failure of Machines and Electrical and Mechanical Equipment in Home of Most people but also large scale Mechanical failures in Ships and Airplanes all over the planet. Internally the Machines' Duty and Desire( as Programmed and Engeneered by us) is to Work As per the Rules with Vigour but externally it cannot. Even flight 777-200 of #Malaysia #Airlines also had Scorpio Ascendant and Mars (R) in the 12th house in Libra (Air Sign) in Conjunction with a Retro Saturn and RAHU( Air Planets). Cancers and Other Traumas of the Breast or Chest areas in a Human. Jupiter: A Retro Jupiter / Guru is Teacher, who introspects a LOT. He wants Perfect Knowledge and Wisdom of Eternal and omnipresent truth and Wisdom. He wants to be Omniscient but for that he repeatedly learns and learns and transforms and reconsiders what is best and Most Divine and Purest form of Truth. He wishes to know and follow the best form of Ideology. Now it also will make him Redo his thought process, reconsider the path what people normally follow, Drop the Idea or Project they are pursuing and Start over again by Find a New Light, a new hope and a New Better Wisdom and Ideology and Scenario. you can imagine. It represents Blessings of a Guru for your Good and your Peace & Happiness. Person is usually Impatient, tries again and again to focus and work hard but then changes his/her mind and drops the idea as well as the ideology of Saturn. He does not believe in Slow patient long term work and Getting the fruit of the hard work and patience at the expected time. He wants instant Accomplishment and Finishing of his desire and Goal as well as instant rewards. Work should finish asap and Result should be in hand Quick and Fast. Law should be Quick. Justice should be Speedy. It confers some Martian Methods to the tenets and qualities of Saturn. I mean Saturn will stay Saturn. It's Characteristics and Ideologies and Qualities will be the same but the METHODS and ways it uses to manifest and Exert them will be MARTIAN and Fast. No boundaries and Patience in their approach to work. the type who take up a lot of burden and work on it slowly and PERSISTENTLY to one day get the Fruit of the Hard work at the right time. Not at all. They cannot take much burden. Little work, Instant finishing and Quick accomplishment and Fast results is what their Approach is. So what it manifest is this. A Saturn (R) Conjunct Venus say will cause what? Internally you want a Stable long term , Long distance mostly and an Honest Relation that will form and Develop slowly and after a long time & you get a relationship later or late in life compared to other people. (Basic Internal qualities of Saturn) but the External manifestation , methods/approach and ways will be different,, they are to Quickly find that perfect partner, being honest and Loyal to them, Making a trustworthy Committed relation Not slowly but Quickly, making a life long bond or a Stable and Steady Relationship very Quick. Also It makes them Repeatedly work in the sphere of life/house involved. Again and again. Say Saturn is retrograde in 5th house will make the native either have a Back or Failure in exam to re-study ( If ill placed) OR it will make him/her Do multiple degrees, like graduation, Post graduation, Ph.D, then research, then something else, an on and on and on,, repeatedly Studying and slow and steady Education for long term(if in a friendly Sign). On the other hand Saturn (R) in 11th house in a friendly Sign, will denote, repeated attempts to make money, Making money again and again, Going back to ZERO , then accumulating all money AGAIN, OR Earning from 1 source, then 2nd, then 3rd and so on. Also Earning SLOWLY but HUGE Amounts and Making HUGE circles, then breaking up with them, then making a NEW Circle AGAIN, then AGAIN and then AGAIN, Everything HUGE, LARGE SCALE with respect to contact, network circles, income and repeatedly getting it, and ALSO the URGE to attain all this QUICK and FAST is there INSIDE. And Saturn Gives you all this For REAL too in RETRO-GRADATION. SATURN is a Planet in this position Which is both INTERNALLY guiding Large Network, of High Renowned Status and Wealth and EXTERNALLY too it is moving in a MARTIAN way so giving QUICK RESULTS. Conjunction will make a Person very Obsessed and Dedicated to work for that sphere of life (house) Persistently and Fight for it and Go Get it. There will be conflicts due to Slow and Fast nature of Saturn and Mars but there is Unidirectional Force to achieve one's Goal and Work for it SINCERELY by following the Rules.